Book Bloggers, I.E. people who blog about books, like to interview authors for their blogs. Some bloggers have tens of thousands of followers and can totally change an author’s life by exposing you and your book to their audience. 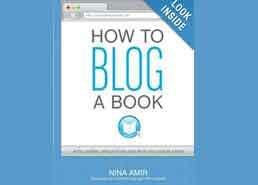 Finding a blogger who interviews authors in your genre and particular topic allows you to reach your target niche. 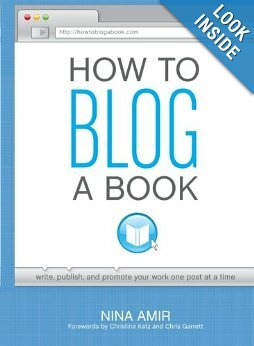 Blogs tend to generate a fairly dedicated following with certain blogs sending some authors right to the best seller ranks. By having a blogger interview you and post the interview on their blog, you will potentially pique the interest of everyone who reads that particular blog. People will be more likely to visit your site and read your work, increasing your sales. As long as a particular blogger covers the genre you write about, most of these bloggers will be happy to interview you about your book. Some bloggers may conduct a phone interview while others will email you questions to answer. Others will invite you to submit a book synopsis, your bio, head shot, book cover and a press release. They’ll use all of this to create the blog page about you and your book. After all, it is fresh material for their site. 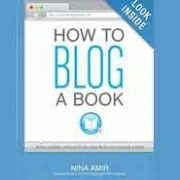 For more in depth information about promoting your book using blogs I suggest you read “How to Blog a Book” by Nina Amir. It’s filled with useful tips and techniques that will guide you through the process. Bottom line: Finding a blogger to interview you about your work is one ‘arrow in the quiver’ of a book marketing strategy and one that can lead to new fans, publicity and increase in book sales.